The setting and main characters come from a RPG campaign using Superworld , a early tabletop super-hero system. It is a relatively early example of a “powers suddenly appear in a realistic modern world, time passes normally, and things have consequences” setting creation work. And with that many novels, there’s a lot of material. Lethal drifter Demise was one of Walton Simons ’ characters. 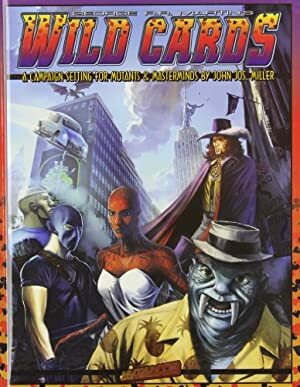 If you’re not familiar with the setting, we recommend that you first read our Wild Cards world primer. Group Affiliation: (former) The Astronomer’s Egyptian Freemasons. Height: 6’ Weight: 150 lbs. Age: 40’s, but probably does not age. Demise can kill by locking eyes with a target and deliberately re-living the moment of his own death. 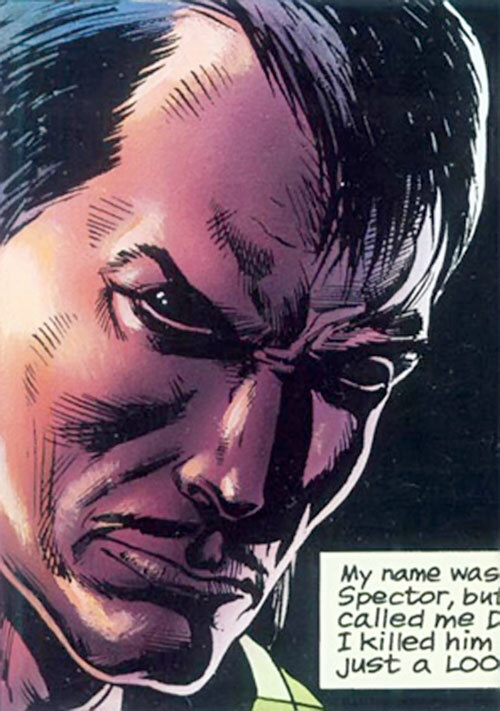 Doing so “fills” his victim with these memories telepathically, and kills them in the process. This power can be resisted by those with strong mental defenses, such as Doctor Tachyon. And Demise can merely stun if he so chooses, breaking the gaze before death occurs. Demise also regenerates all his tissues at a horrendous rate. He once regrew an entire foot within 36 hours. Even lethal wounds barely slow him down, he just keeps going while they close over and heal. Demise died by being infected with the Wild Card, but was revived by Dr. Tachyon. He came back with the ability to kill people by locking eyes with them. He uses this potent ability to pick up an easy living and to kill those who irritate him, or whenever he needs something. He was discovered by the Astronomer. He used Demise as an agent while holding him with the promise that he would wipe the memory of his death from his mind. Demise, in fear of the true evil he perceived in the Astronomer, stayed with him until it became clear that he had no intention of keeping his promise. Then he fled. The Astronomer found him and tried to kill him, but Demise got the last laugh. Drained from his battle with Fortunato, the Astronomer was psychically depleted. Demise locked eyes with his tormentor and killed him. Demise became an assassin for hire. He was last (IIRC) seen at the Atlanta, Georgia Democratic Convention where Senator Gregg Hartmann was running for the Presidential nomination. Demise was there to kill the Senator, hired by an anonymous source. He was (apparently) killed by Mackie Messer (aka Mack the Knife), who cut his head off. What happened to the head and body have yet to be revealed AFAIK, but it is possible that Demise is not yet gone for good. A lean six-footer with scraggly hair and a raggedy mustache. No matter what he wears, whether jeans and a tee shirt or a tailored suit, it always looks disheveled and grubby. His eyes may attract attention; imagine what you’d see in the eyes of a man who’s died and come back. Demise is a psychopath, pure and simple. He kills on a whim, if he needs money or clothes or even just irritated. He is easily irritated. He disdains those he kills, but looks up in fear at those he cannot, such as the Astronomer and Dr. Tachyon. His only moral constraints are self-imposed, and those are few and far between. Demise makes such a handy assassin that he really requires no special treatment. However, his lack of physical abilities makes him a poor opponent for such powerhouses as GL or Superman. 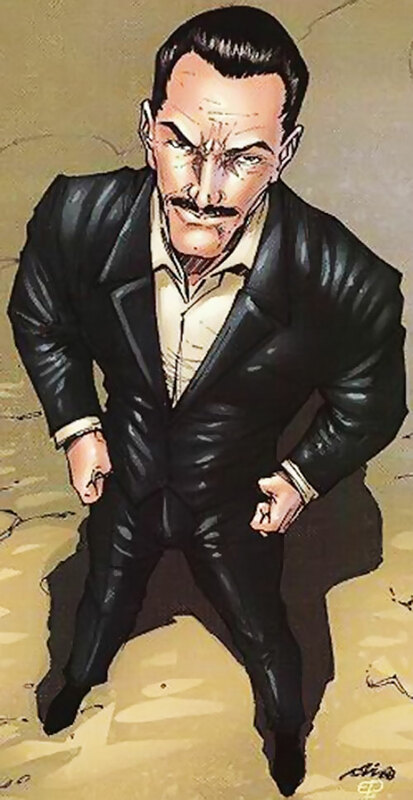 He is best used with human level characters, and his abilities kept as secret as possible. Demise is a former mental patient whose metagene revived him after he’d been killed in the Invasion . Since then he’s made the rounds as a super-henchman, unable to be really satisfied with his new life or indeed to fit in anywhere. 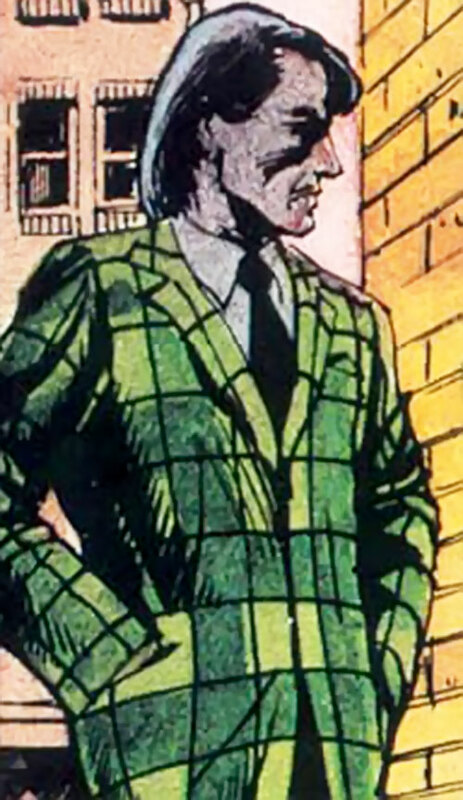 He is a wanderer by nature and as such has run into most of the DCU’s non-powered or low-powered heroes, since he avoids the heavy hitters like the plague. He has run afoul of the Titans, Green Arrow, and members of Infinity, Inc. and the JSA. He hates running into anyone who has powers, because you never know who can resist his death stare. He made the mistake once of accepting a contract on Batman’s life, but the Dark Knight was too much for him. He spends a lot of time in jail (It’s a place you can get three squares and a bed). But he frequently breaks out to wreak havoc among the populace when he gets a job. Mind Blast and Paralysis have Restricted Range of 20 feet maximum (-2). Regeneration: Regeneration can Regrow missing Tissue. Mind Blast: Must make eye contact, Range is 1 AP. Paralysis: Paralysis Enforces Eye contact Once made. It is a Mental Power. Paralysis can be Combined with Mind Blast. 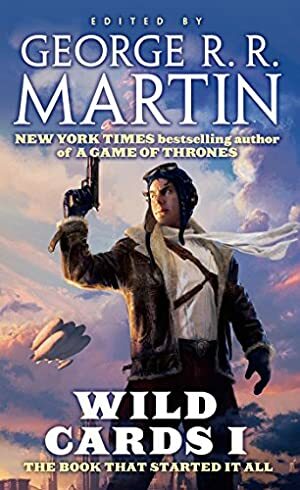 Distinctive Appearance (general seediness), MIA (Kills for the most trivial reasons), SIA (Impulsive), MIA (Sadistic), MIF (Dr. Tachyon), Mistrust, MPI (Paranoia), Attack Vulnerability (Killing Combat, -2 Column Shifts). 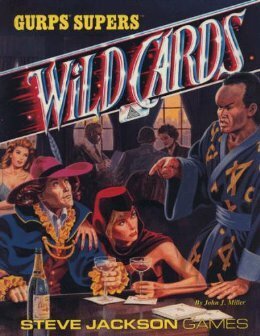 Source of Character: Wild Cards Novels, GURPS Wild Cards Sourcebook.